At Protectors of Animals we do not believe in declawing a cat. Depriving a cat of his or her claws means taking away a basic tool – for defense, including climbing. Visit this page for shocking images and story: http://www.pictures-of-cats.org. Declawing is not like a manicure. It is serious surgery. Your cat's claw is not a toenail. It is actually closely adhered to the bone. So closely adhered that to remove the claw, the last bone of your cat's claw has to be removed. Declawing is actually an amputation of the last joint of your cat's "toes". When you envision that, it becomes clear why declawing is not a humane act. It is a painful surgery, with a painful recovery period. 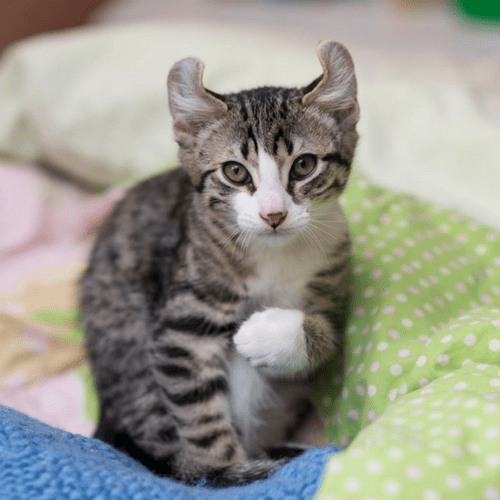 And remember that during the time of recuperation from the surgery your cat would still have to use its feet to walk, jump, and scratch in its litter box regardless of the pain it is experiencing. Wheelchairs and bedpans are not an option for a cat. For additional information on topics such as alternatives to declawing, how to trim your cats claws, why cats scratch, best scratching posts, etc., go to www.declawing.com. This is not a POA website, it just has some useful information.